Thinking about your loved one 24 hours a day? This is a clock for you! Express your love in 12 languages. 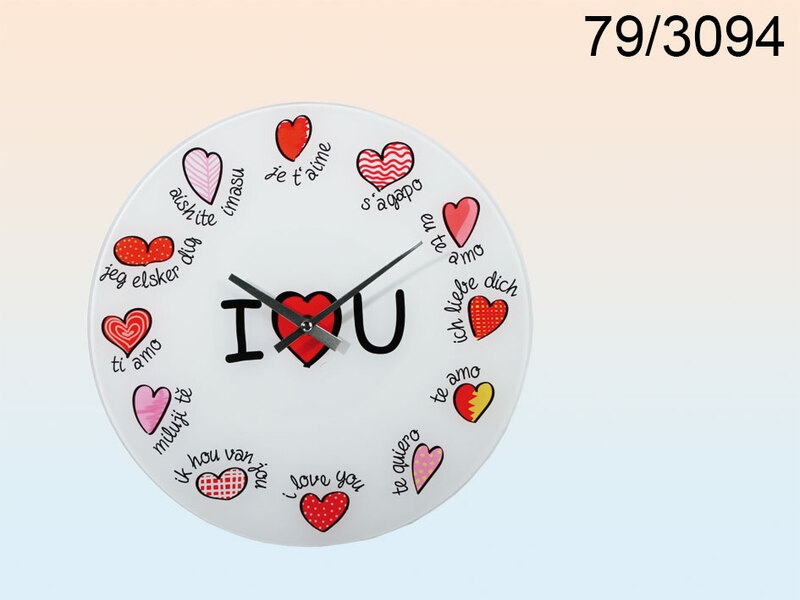 Cute glass wall clock with lovely design.